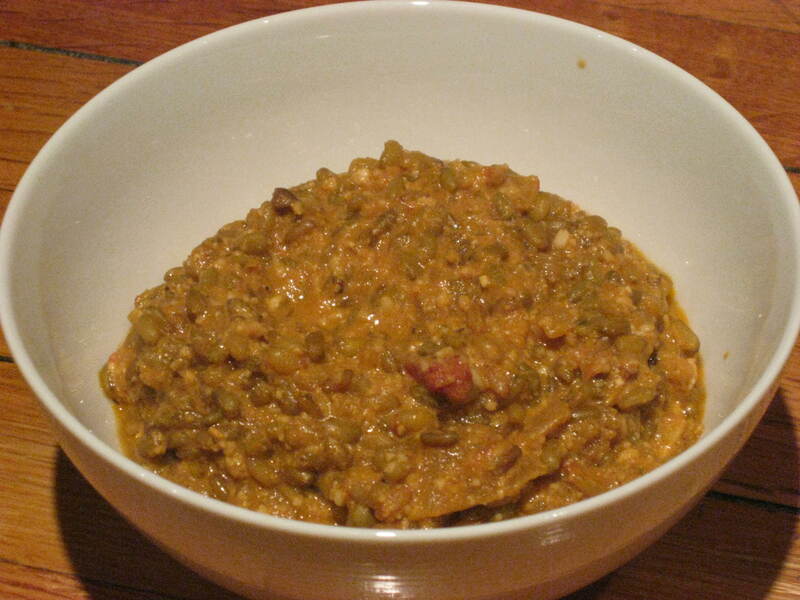 I just recently tried out Freekeh “free-kah”. To me it was a new product but I have read that it has been around forever originating in the Middle East. It used to be only found in Middle Eastern markets but now it is popping up in restaurants in NYC and can be found in Whole Foods. 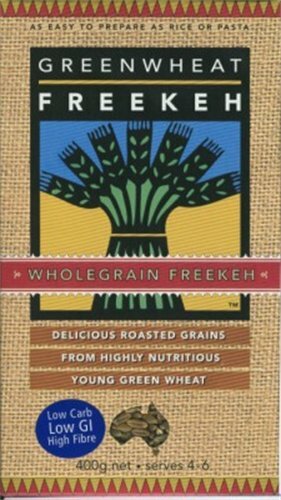 Freekeh is a roasted green wheat and can be used in place of rice, bulgur or any grains and substituted in recipes for salads, pilaf, tabbouleh, or soup. I made a baked risotto with the freekeh and it came out sooo good! I used the whole grain version (instead of the cracked) which had a really nutty flavor and texture. In a food processor or blender: Chop pinenuts and cashews into a fine meal. Drizzle in a touch of oil or water. Chop in pulses until moist and ground. 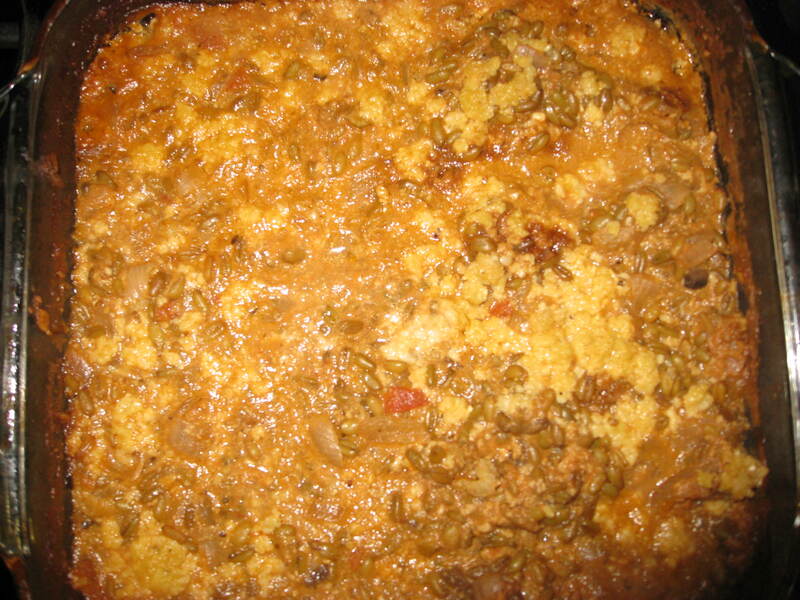 Add nutritional yeast, dried garlic and salt and chop in pulses until crumbly. Preheat oven to 400F, with a rack in the top third. Spray non-stick oil over a 8×8-inch baking dish and sprinkle with lemon zest. In a large saucepan over medium-high heat combine the olive oil, onion, and a couple pinches of salt. Cook until the onions soften up and begin to become translucent, a few minutes. Add the freekah, stir until well-coated, and cook for another minute or two. Stir in the tomato sauce and the broth. Bring just to a simmer, remove from heat, and stir in about 3/4 of the Parmesan. Carefully taste a bit of the liquid, and adjust the seasoning if needed. Transfer to the baking dish, cover with foil, poke a few slits in the foil, and bake for about 55 minutes or until the grains are cooked through. Uncover and add remaining Parmesan a cook for a few for minutes.